Any adventurer or hiking enthusiast will admit that the whole trip is never complete until you bring along your favorite hiking camera to capture the moments that matter. Obviously, you will need a camera that is able to take amazing photos and videos with a quality that is much better than your Smartphone’s. In fact, you need to go beyond the picture and video quality to think about the durability of the camera (especially if you will be hiking in the cold mountains) and how lightweight/compact it is to hike with. In this post, we give you four of the best cameras to take hiking for durability, quality image and video capturing and of course affordability. Hands down the best GoPro companion for hiking enthusiasts right now is the Hero 6. It has a compact and ultra-lightweight build quality making it one of the best cameras to have on a hike. But, the fun doesn’t just stop with its build quality. This camera comes with an image stabilization system that enabled you to capture uniquely smooth videos even when the original recording was bumpy. It comes with a capacity to shoot 4K and 1080p240 video quality. It’s a waterproof camera able to hold up its own without any housing up to 10 m under water. If that is impressive, there is more. The Hero 6 features a 5GHz WiFi capacity that makes copying and sharing of pictures and videos much easier. The Hero 6 is a go-to for most hiking and adventure enthusiasts. Compared to its predecessor, the Hero 5, this camera boasts of improved performance with a better image and video quality. In fact, the fact that it comes with an image stabilization feature not to mention the improved video quality at 1080p is a plus for hiking lovers. In addition, you can quickly edit and share your videos thanks to the camera’s capacity to send and quickly edit footage on your phone. To top it all off, the camera boasts of a rugged waterproof design that is well capable of withstanding any harsh environment it’s subjected to. Even though it comes with a WiFi capacity, you ought to beware while you are out there in the wild since its battery has a rather short life. Furthermore, extremely low or high-temperature conditions might also shorten the life span of its battery. Plus, even though GoPro says it shoots 4K, there are a couple of complaints from users who were unable to play the recorded 4K footage on QuickTime. The solution here is to use VLC. All in all, this camera still remains to be one of the best options for those looking for a compact and rugged waterproof camera for hiking. When you need to shoot fast-moving subjects, the Sony Alpha a6300 is the go-to camera. It’s a mirrorless compact camera with all the right features for adventure seekers. To begin with, it comes with a newly developed 24.3MP image sensor that delivers high-resolution 4K footage. With fast autofocus set at 11fps, you can easily capture fast moving objects while out in the great outdoors. The electronic viewfinder comes with a high-quality XGA OLED Tru-Finder to take your viewing a notch higher. Additionally, it supports consumer friendly footage recording at XAVC 5. This way you get minimized files that take up less space without losing the overall quality of your footage and images. Most adventure and hiking lovers choose the Sony Alpha a6300 for its 4K and HD recording capacity. 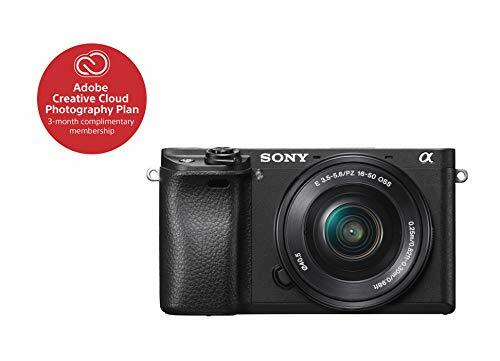 This camera is also compact enough making it easy to carry around during travel and since it has a retractable lens, you can zoom in to capture your images thanks to the 16-50mm lens with an aperture of f/3.5 to 5.6. The electronics viewfinder works as expected to deliver high-quality viewing and the slow-motion recording capacity at 120 fps is perfect for capturing every tiny moment in detail. The only downside to this camera is the fact that it does not come with image stabilization. However, what you get is a rugged and compact camera that is able to record high-quality professional footage with impeccable audio even without an external microphone. Basically, having the Sony Alpha a6300 is more like going on a hike with your DSLR only that now you have a lightweight and compact replacement of it, fitting neatly into your hiking day pack. 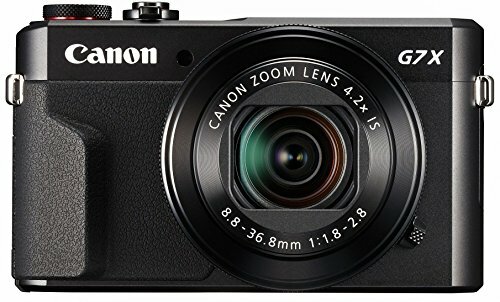 The Canon PowerShot G7 X Mark II is among the best point and shoot cameras you can find out there. Not only is it a much cheaper option compared to its rivals but it also comes with a bit more focal length for better overall performance. With its large CMOS image sensor at 20.1 megapixels, this camera is capable of capturing high-quality videos and images. The onboard LCD monitor tilts up to 180 degrees enabling you to take self-portraits at a variety of angles. Plus, you can shoot continuously up to 8 frames per second so as to capture fast moving subjects. Furthermore, it also comes with wireless connectivity that makes sharing photos on the go a much easier task. For its size, the Canon PowerShot G7 X Mark II packs a bunch of cool features and comes with the quality performance to match. Even though it does not come with interchangeable lenses, it can still fit the bill as a DSLR replacement thanks to its quality image capturing and video recording. Furthermore, it’s a lightweight camera that easily fits in your jacket pocket making it a perfect option for hiking. When it’s all said and done, any hiking enthusiast knows that portability comes first when picking a camera for trekking or moderate walking. This is exactly what the Canon PowerShot G7 X Mark II provides. It is also easy to use and the tilting touch screen LCD makes it easy to take high-quality photos and videos on the go. However, the battery can be a disappointment, especially for hiking as it can barely support all its functionality. Plus, the touch screen can be cumbersome at times especially when you attempt to adjust it without the touch focusing. 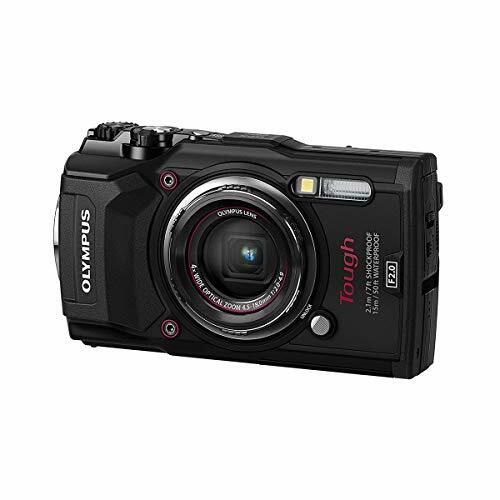 If you are looking for the ultimate compact camera for hiking, you would miss a lot if you passed on the Olympus TG-5 Waterproof Camera. This camera is simply designed to endure the elements with an anti-fog dual pane glass covering the lens. One of its most outstanding features is the fact that it comes with a capacity to withstand low temperatures in the range of 140F to 100C. Added to its waterproof capacity up to 50 feet is a shockproof and dustproof feature as well. The Olympus TG-5 brings about quality video recording at 4K and with its specialized image sensor, its low light performance is one of the best. 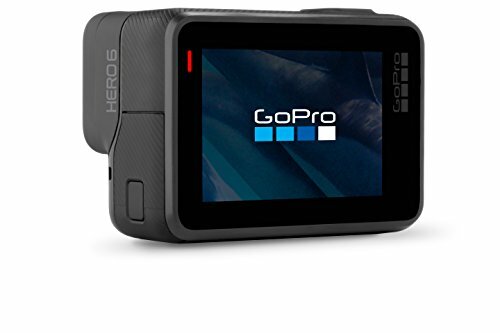 Other helpful features it comes with include a GPS and compass, Wi-Fi connectivity for easy sharing and live composite modes that lets you explore different ways of framing your shots. In terms of performance, this camera lets you attach a fish-eye converted so as to get wide angle shots. You can also use its telezoom converted for better zoom range. Granted, you cannot use multiple lenses with this camera, however, it‘s portable and lightweight build quality makes it a much better options to the DSLR. For those hiking enthusiasts that love taking macro mode photos and videos in the deep waters, the Olympus TG-5 is simply a must-have. Its rugged waterproof design makes it the perfect camera for hiking plus the fact that it can shoot in 4K is a plus for those looking to create quality vlogs of their adventures. Well, there you have it. Whatever camera you settle for, keep in mind that some of the biggest considerations include the weight of the camera, its weather sealing quality and the price. With our list, you will be sure to find a hiking camera that checks all the boxes. If you are not quite sure about your choice, we suggest the Olympus TG-5 as the ultimate hiking camera as it boasts of a rugged build quality with 4K shooting capacity which is great.